Kerry is a Credit Adviser, and holds a Diploma of Financial Services (Finance/Mortgage Broking Management), and a Certificate III in Mortgage Lending, and a Certificate IV in Finance Broking. Kerry became a Financial Planner after completing her Diploma of Financial Planning units through Deakin University. Kerry is a member of the MFAA, and the AFA and a Registered Tax (Financial) Adviser (No. 24936620). 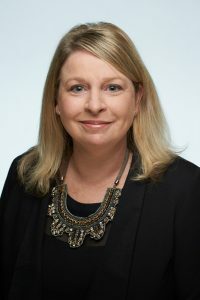 Kerry has worked in the financial services and Banking industry since 1988, when she commenced her career with the National Australia Bank, and progressed through various roles within the Bank before becoming a Branch Manager and a Mobile Mortgage Manager. She then joined the MLC Insurance division of the Bank working as an insurance specialist. Kerry joined Wealth & Security Planners in 2002, after working closely with the business servicing their home loan clients since 1997. Kerry became a part owner of the group in 2010. Kerry has a passion for helping others, and spends her spare time achieving this. On the weekends you might find her on the Golf Course, or taking in the sunshine walking around Lake Monger & the Swan River.